Chronis Botsoglou, 2003 Ink, sugar & aquatint, 2 plates. 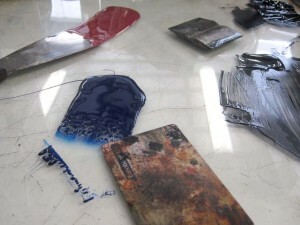 we organize and intensive seminar lesson at the studio. 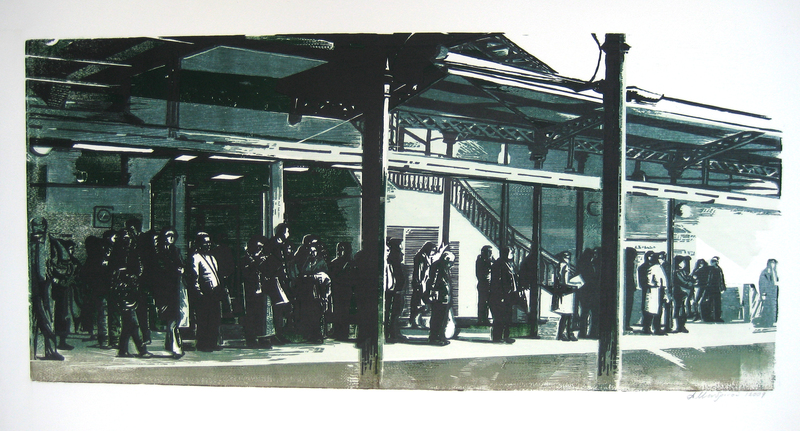 and print on copper paper. 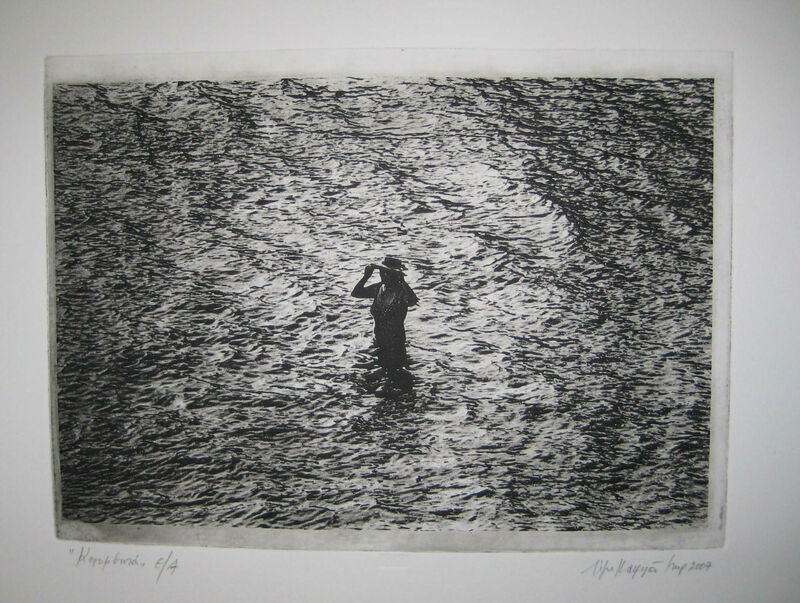 Panayiotis Tetsis, 1981 Etching & Aquatint, 4 plates. 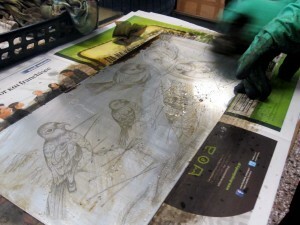 then we PRINT proofs, and do some more process until the final print, bon a tirer. We also recommend to make prints with Chine Collé. 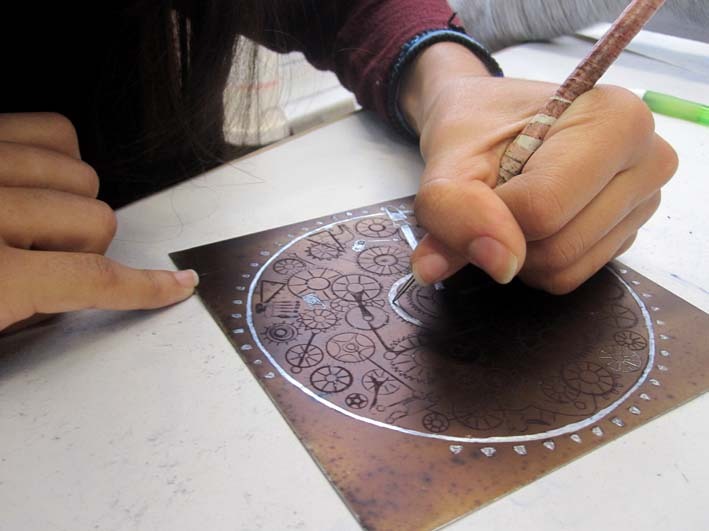 In 15 hours the participants will make one engraving metal plate 30×40 cm or two plates 20×30 cm. 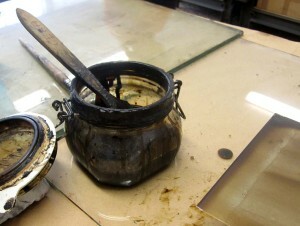 and includes all the materials, tools and consumables. A certificate of participation is given after the end of the seminar. 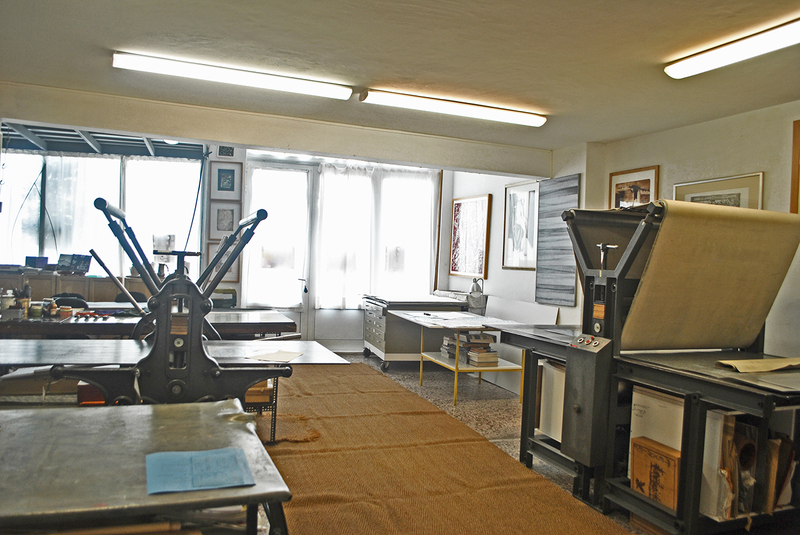 The Athens Printmaking Art Center- Pandolfini & Siaterli continue its way to support the printmaking expression and its diffusion and exhibits a series of artwork by Italian artists, who cooperated with the workshop from the 70’s and 80’s. Exhibition is held at the Italian Cultural Institute continuing their long term collaboration. 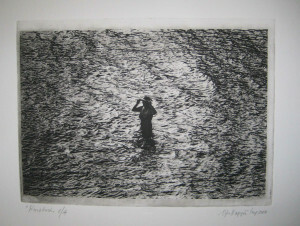 In its exhibition space are presented engravings of 44 Italian artists mostly etchings. The exhibition is organized as part of the “Print Fest”, a big event of printmaking in Athens, co-organized from the Munincipality of Athens and the Greek Printmakers Union. 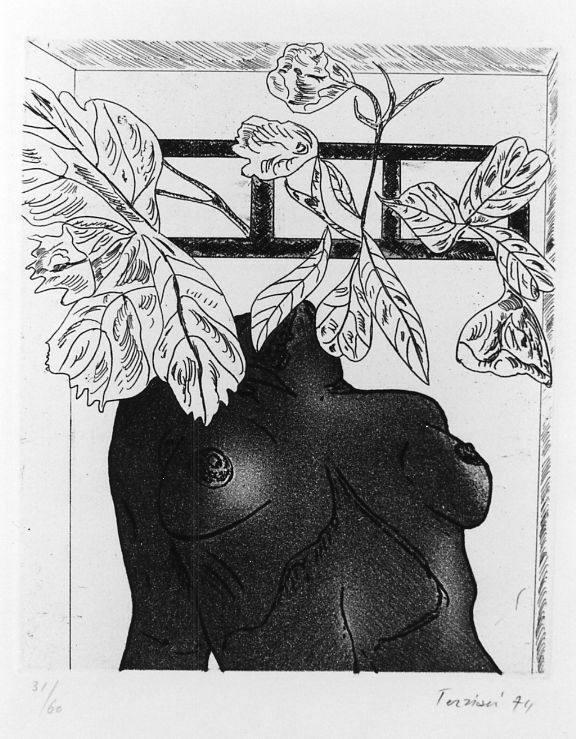 The catalogue text wrote by Bruno Bandini art theoretician and professor in School of Fine Arts of Bologna in the history of art . 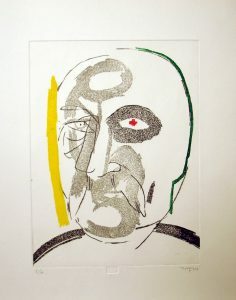 ARTIBANI, BECCARI, BENTINI, BERTOZZI, BOSCHINI, CALABRIA, CAMPUS, CANDINI, CHECCHI, CORBARA, DI MARCO, DI STEFANO, FERRANTI, FERRARI, FIORAVANTI, FRANCHI, FRANCHI, GANNA, GREEN, GRASSITELLI, GUERRA, LEON CARLO, LEONI MARIO, MILANESE, MORΙ, ΟRIOLI, PANDOLFINI, PERNICE, POGGESCHI, PULINI,QUINTILI, SBANO, SCARABELLI, SERAFINI, SIATERLI, SOLENDO, SUGHI, TAVANTI, TERZIARI, VERGHERIO, VESPIGNANI, VISANI. 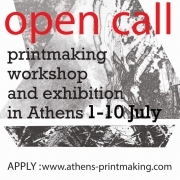 47, Patission [28 Oktovriou] – 10433- Athens Greece, T. 210 5242646, 210 5242674.
for three interesting printmaking techniques. Each technique will be completed in two meetings so you can have a better knowledge of the printmaking procedure and the printing process. aquatint combined with ink and sugar, and soft ground in all its forms. after discussion and as a result from our proposals. from the participants that will follow all classes. 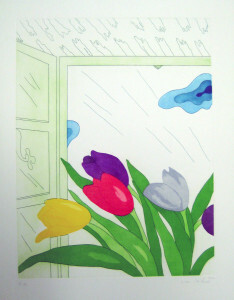 The cost includes materials and paper for two prints. so we will be able to make the group. The courses are for those who are involved with visual arts and are interested mostly in printmaking. 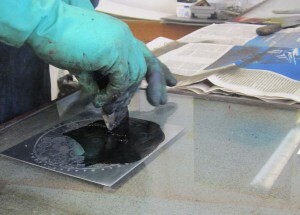 The participants will have the opportunity to learn the initial approaches of printmaking techniques, to know the work of contemporary and European artists and make their own original engravings. 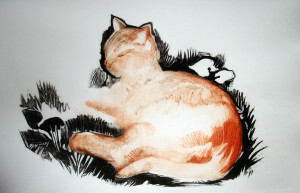 The participants should have prepared a drawing with ink or very fine marker (0,2mm). 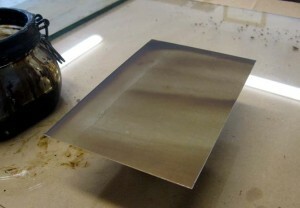 Introduction about the technique and examples of artist’s work, preparation of the metal plate (20×15 cm) drawing before engraving. 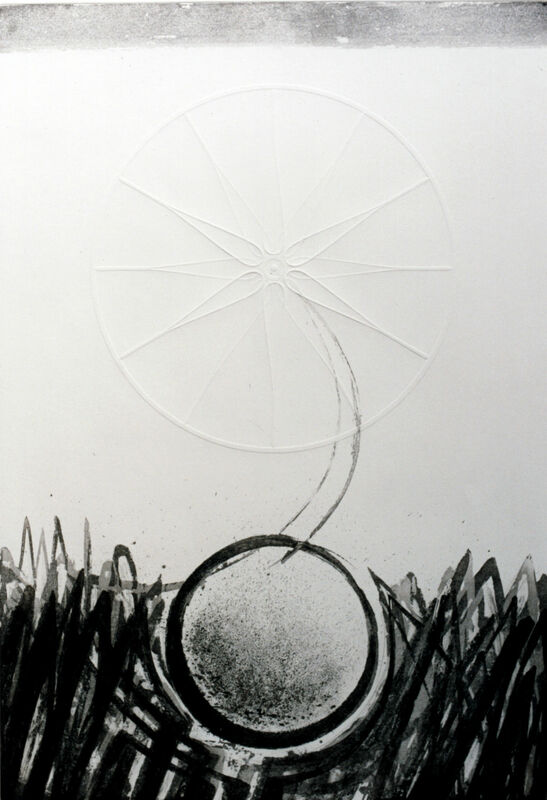 Softground technique, etching of the metal plate, stages of corrosion for tonal gradients, printing of the first copies. (9 hours total). 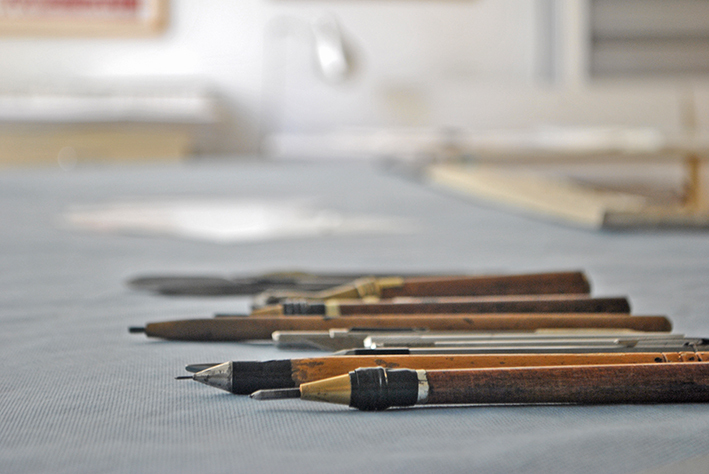 Please note that each course is autonomous and that each artist will create complete engravings during the seminar and take two copies at the end of the course. Diomides Palace, 146, Tritis Septembriou Str. 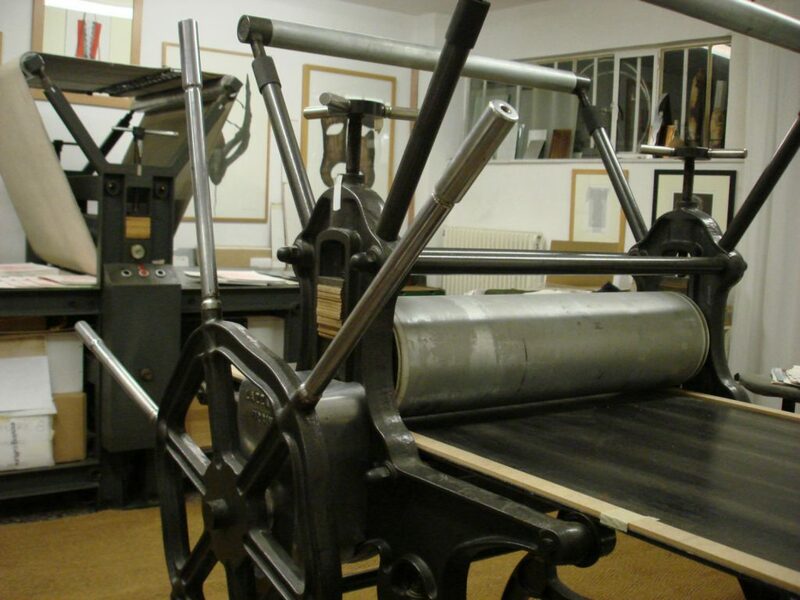 This two exhibitions of Athens Printmaking Art Center “PRINTMAKING VOCABULARIES” and “ON TO THE FILE” are taking place at NBG Historical Archive. 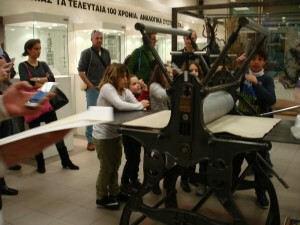 The exhibitions organized in conjunction with the International Museum Day and accompanied the very interesting exhibition of the archive of ASPIOTI-ELKA the oldest Greek printing company. 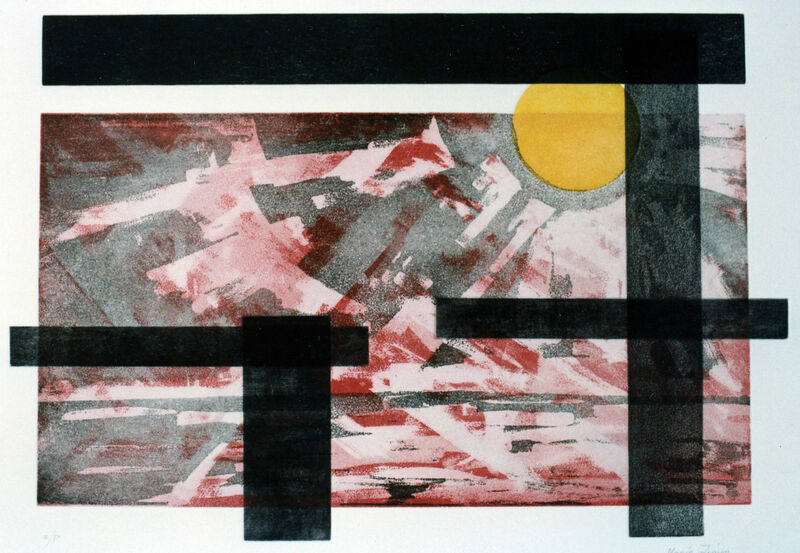 In the “PRINTMAKING VOCABULARIES” the artwork is selected according to the printmaking techniques and are derived from the “prints archive” of Athens Printmaking Art Center. 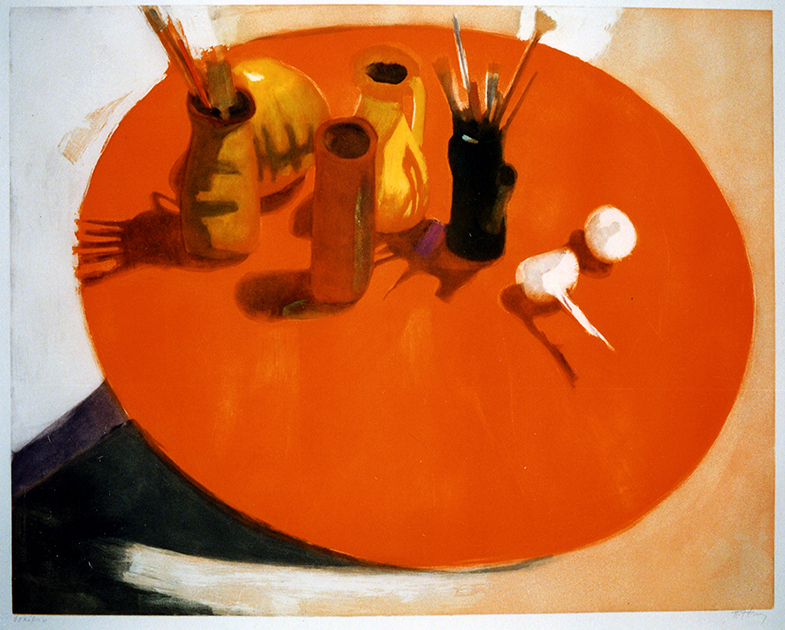 Through the series of artworks of important artists youcan see a big part of the route of Modern Greek Printmaking. 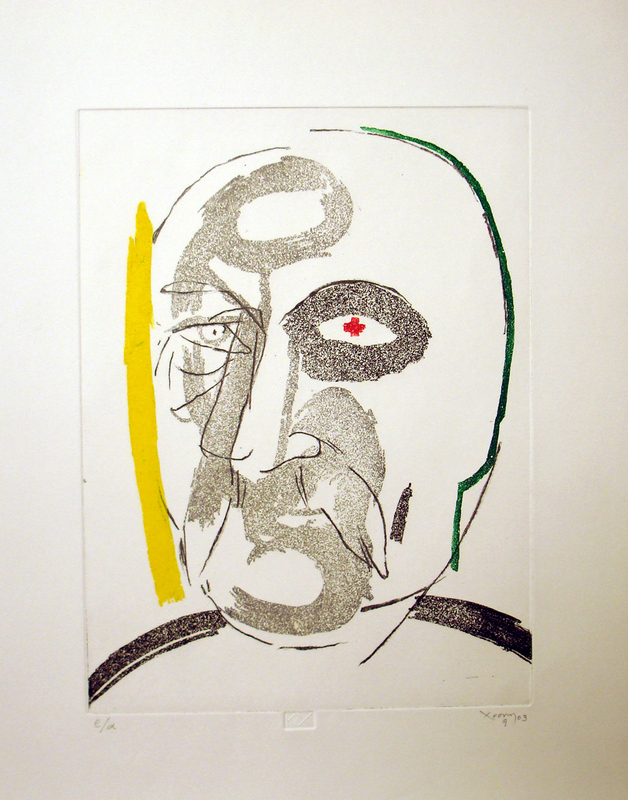 There you can see artworks of: Rena Αnnousi, Αristides Vlassis, Dimitris Geros Panayiotis Gravalos, Kostas Grammatopoulos, Iris Drakouli, Manolis Zacharioudakis, Maria Ziaka, Opy Zouni, Popi Zoidi, Thodoros, Lizzie Kalligas, Vlassis Kaniaris, Christos Karras, Vaso Katraki, Anastasia Konstadakou, Gudrun von Leitner, Anna Mendrinou, Christos Markides , Yiorgos Milios, Yiorgos Moschos, Chronis Botsoglou, Dimitris Mitaras, Thododros Delis, Labros Orfanos, Eleni Panagidou, Pino Pandolfini, Nestoras Papanikolopoulos, Spiridoula Politi, Voula Priovolou, Harris Savvides, Roubina Sarellakou, Dimitra Siaterli, Yiannis Spiropoulos, Nikos Stefanou, Panagiotis Tetsis, Alekos Fasianos, Hambis (Tsaggaris). 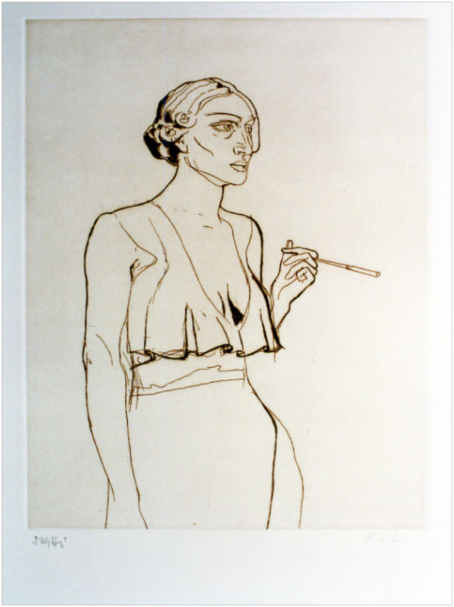 Artworks of Lizzie Kalligas and Theodoros. The exhibition “ON TO THE FILE” is a printmaking installation on the entrance of Diomedes Palace with artworks of Αnastasia Κonstantakou, Dimitra Siaterli, Μagda Τammam and Florance Christakis.Their work linking and commenting the exhibits of the NBG Historical Archive with the current social condition. The exhibitions are curated by historean – museologist Maria Lembesis together with Myrto Voulelis and Anthi Theodoropoulou and the text of the exhibition is written by Nelli Kyriazis. 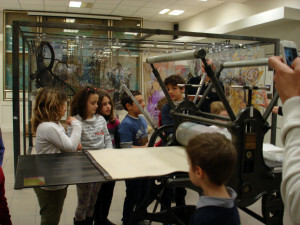 The exhibitions accompanied educational programs curated by Maria Lempesi. Two exhibitions are taking place at the same time in Diomides Palace (146, tritis septemvriou str., Athens) from 9 May until 4 June 2015, in conjunction with the International Museum Day. Exhibitions are titled “PRINTMAKING VOCABULARIES” and “ON THE FILE” and prefaced by Nelly Kyriazis in the opening night on Saturday, June 9, 2015 at 19:00 pm. Artwork by Vaso Katraki and Iris Drakouli. 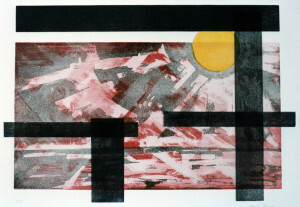 In the “PRINTMAKING VOCABULARIES” the artwork is selected according to the printmaking techniques and are derived from the “prints archive” of Athens Printmaking Art Center. 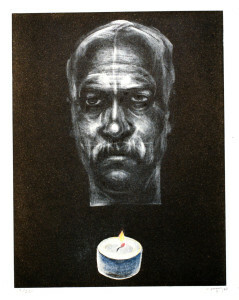 Through the series of artworks of important artists you can see a big part of the route of Modern Greek Printmaking. 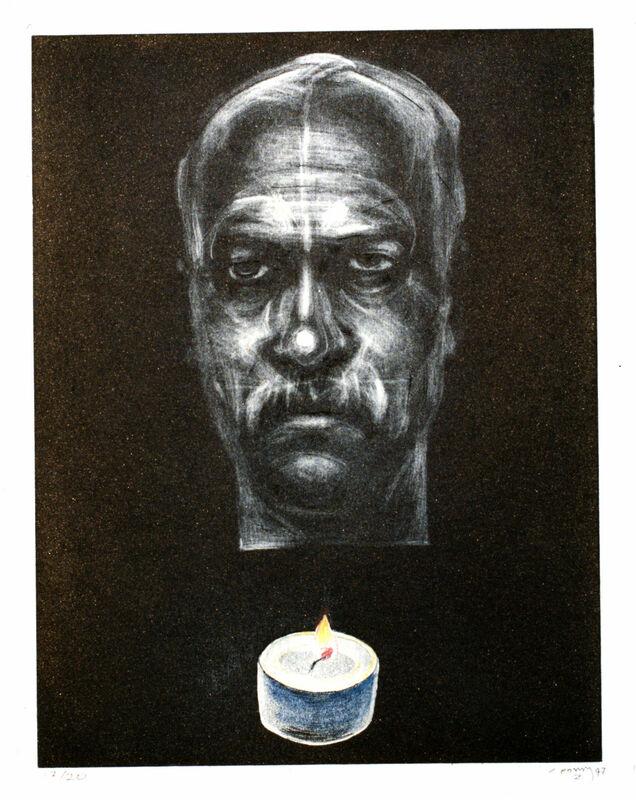 Artwork by Chronis Botsoglou and Vlassis Kaniaris. 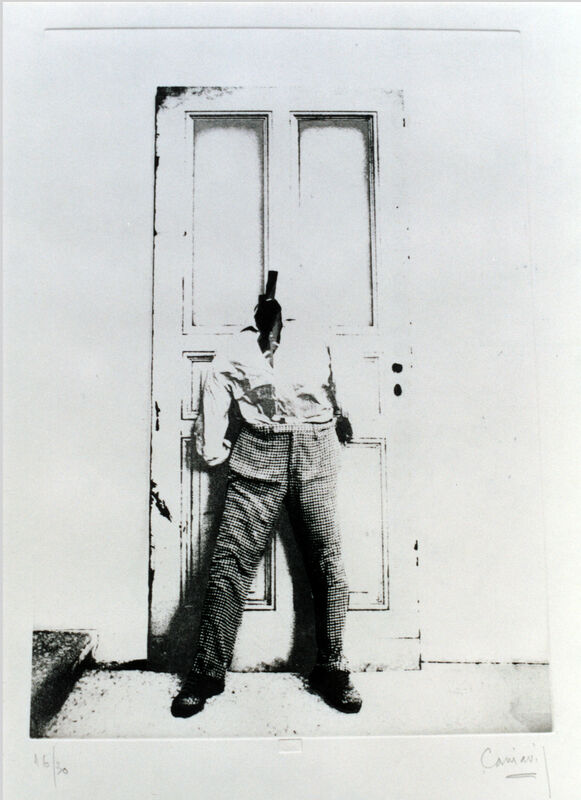 with installations of the artists, Anastasia Konstandakou, Dimitra Siaterli, Magda Tammam and Florance Christakis, linking and commenting the exhibits of the NBG Historical Archive with the current social condition. 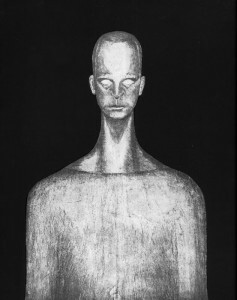 Artwork by Gudrun von Leitner. on Saturday 7 March from 10:00 until 15:00.
on Sunday 15 March from 10:00 until 15:00.
for every course 50 euros (includes materials, tools and equipment). 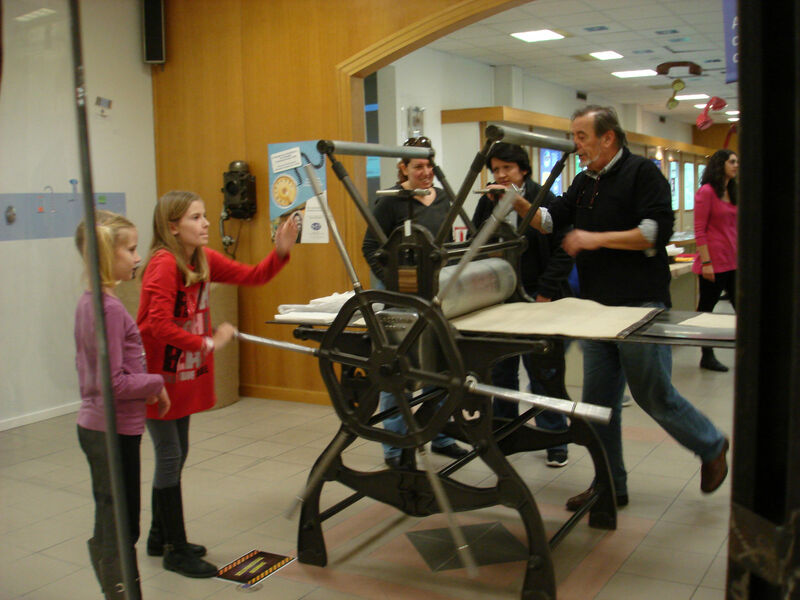 A weekend full of printmaking for the visiting children of the OTE museum. 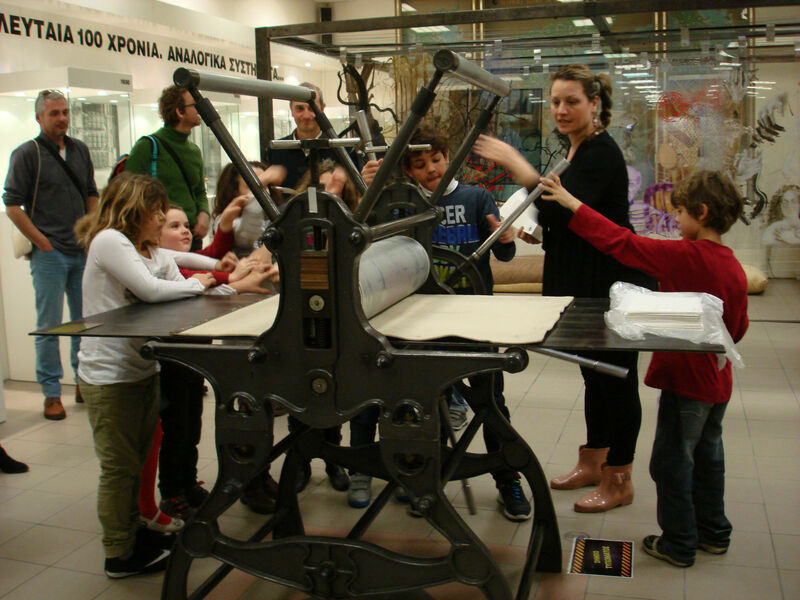 The ATHENS PRINTMAKING ART CENTER – PANDOLFINI & SIATERLI in collaboration with the ΟΤΕ MUSEUM (Nea Kifissia) together with the museum educator Stacy Ventura. 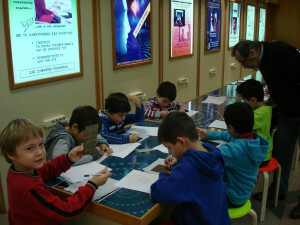 They organized two morning workshops, where the small visitors of the museum could observe the exhibits, make a drawing of the one they liked most, make an etching of their drawing and print it in the press. 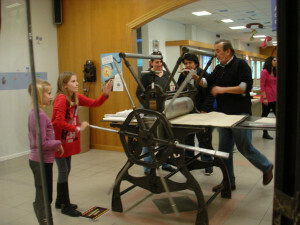 Everyone left the museum very excited holding their first engraving copy in their hands. 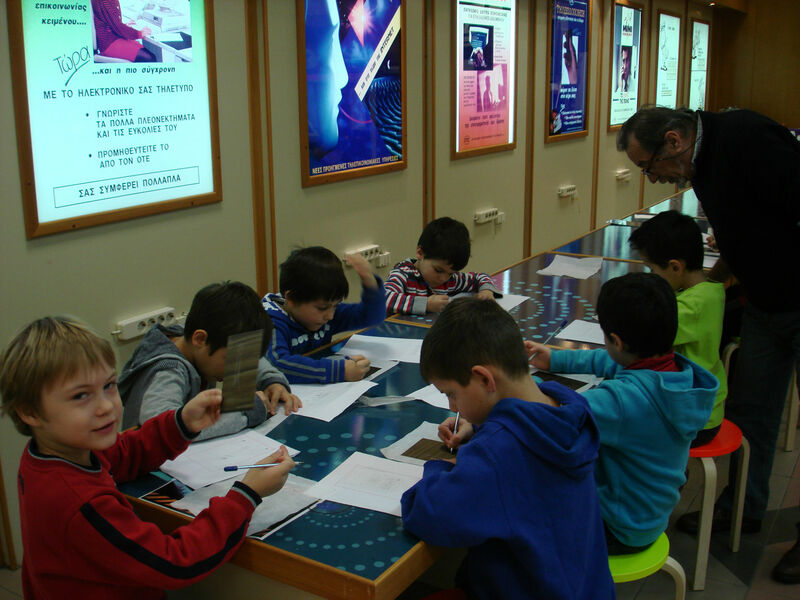 on Sunday 8 February from 10:00 until 15:00. 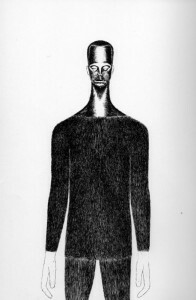 Please have with you a drawing made with ink or very fine marker (0.2mm) with a size of 17×25 cm.